Today, we’re excited to announce the launch of our first Canadian datacenter in beautiful Toronto! It's hard to deny that the Canadian startup ecosystem has been booming. There are nearly half a million software developers throughout Canada, and we at DigitalOcean have always felt lots of love from the Canadian developer community. Today we're excited to send some love back their way as we proudly open the doors to our Canadian datacenter, TOR1. Universe, a platform for people to discover and create events based in Toronto, is already a DigitalOcean customer. We are excited to help them expand their business in Canada. This was a highly requested location. Each hypervisor comes equipped with 40GbE networking and the latest model of SSDs. Because all of these Droplets will be physically in Canada, if your business needs to keep data in the Great White North, you’ll now be able to do that. DigitalOcean is committed to upholding the highest standards in privacy and security, and TOR1 enables us to extend those protections to our customers’ customers. 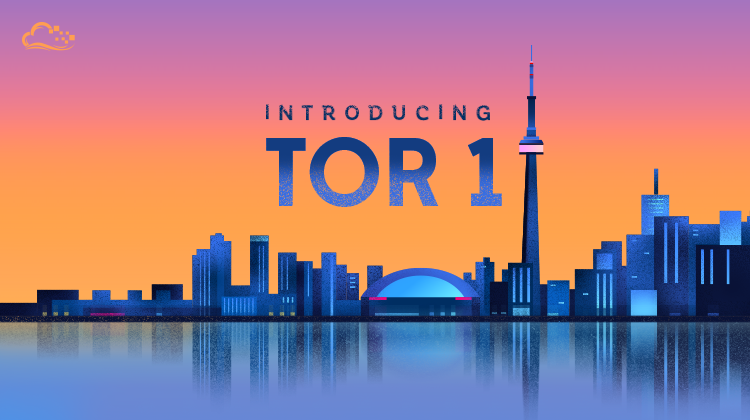 To celebrate the TOR1 launch with our friends in Canada, we'll be hosting events throughout October. Save the dates for your cities: Toronto (Oct 13-15), Vancouver (Oct 20-22), and Montreal (Oct 28 — 29). The official event details will be added to this post soon. Head over to the Droplet create page or use the API to spin up a maple-flavored Droplet in TOR1 today!